When one thinks about accounting, they probably think about bookkeeping and paperwork, not technology. In this ever-changing technological world, accounting is one part of the business sector that has had to learn to keep up with new advances. 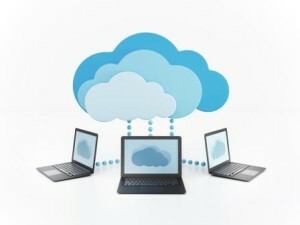 One reason it is possible to have an online accountant and do all of the bookkeeping online, is because of the cloud. In its simplest terms, the cloud is described as the ability for software and services to run over the Internet as opposed to one’s computer. Some examples of popular cloud services include: Netflix, Google Drive, and Yahoo Mail. The world of accounting has joined in and is utilizing this technology now more than ever. In fact, according to Forbes, the cloud is one of the reasons many companies are dumping their on-premise software, meaning companies are using once-popular software such as QuickBooks, less and less. According to a survey of over 2,100 ACCA and Institute of Management Accountants (IMA), 81 percent of them expect to see great changes in their fields. Eighteen percent of the respondents feel they will be facing a complete transformation while only one percent stated these technologies will not cause any change at all. What do all of these changes mean for the future accountant? Does this mean the profession will cease to exist in the near future? Even though a lot of bookkeeping is currently being done online via the cloud, it is not erasing the need for accountants. Many experts agree that accountants will always be needed but that they will have to acquire new skills in order to keep up with the constantly changing world of advanced technology. While the world of the number-crunching accountant is ever-changing due to many technological advances, it doesn’t mean there will be less accountants in the world. It simply means businesses will have more options to choose from when it comes to handling their books.